Finding the right pattern is just as important as picking out the right color of yarn for a project. If the essential elements of a pattern are missing, then there is no point in casting it on to your needles in the first place. The qualities that make a good pattern are more than just the absence of mistakes too. The key to finding good patterns is knowing what to look for. The following guidelines can be helpful for knitters to learn how to choose patterns that will bring them the most satisfaction. I would also like to present these guidelines to authors of patterns, so we can begin to develop some standards of pattern writing that make all those delicious recipes available to everyone. Believe it or not, some patterns omit the gauge completely. If there is no gauge, there is no way to tell what size something is going to turn out. As with any rule, there are exceptions. If the pattern is for a scarf, you might be able to get away without a gauge. But just for good practice, I would still include a gauge measurement, and I always encourage knitting a gauge before starting a project. Even if you have to do the 'lazy gauge', like I do, where I cast on about 20 stitches for an average weight yarn and knit about an inch and a half. How big is the piece supposed to be? If it is a felted piece (or has felted elements) what are the pre- and post- felting sizes? I would be hesitant to choose a felting pattern that doesn't list both of these sizes. Some patterns, especially for wearables, list more than one size in the pattern. It looks something like this: S (M, L). And throughout the pattern there are instructions for all the sizes: CO 90 (100, 110) sts. But if the pattern doesn't tell you how small S is, move on. If it is for a sweater, it better have measurements. The more the better! At a minimum for the yarn used the weight/thickness, # of yards/grams, and the # of skeins required should be listed. The more information listed on the pattern the better. More times than not, you will not use the same type of yarn that is called for in a pattern. 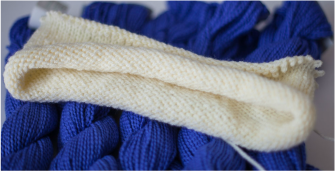 And since no two yarns are built exactly the same, the more information you have, the better you can choose what to knit your project with. It's hard to match yards AND grams to a different type of yarn, but at least you can make a more educated guess. Knowing which special tools are required is essential because you want to know what you are getting yourself into. If you knit the entire amigurumi creature, only to discover you need some special wiring to make it look like it did in the picture, and it wasn't listed in the supplies list, you will end up disappointed having wasted a lot of time and effort in vain. As I will stress again later, it is important to read through the entire pattern before starting. You don't have to read things word for word, but you should skim through and make sure there are no surprises down the road. Special tools can include things like yarn needles, cable needles, stuffing, clasps, etc. If the pattern contains any special stitches, such as ones that go beyond the basics you would find in a list of knitting abbreviations, make sure that the special stitches are well explained. You don't want to stumble upon the 'k2sp' halfway through your row and not know what that means, nor have no written guide explaining that they meant you should "K2tog, then sl st back to LH needle, lift 2nd st on LH needle back over returned st and replace returned st on RH needle (2 sts dec'd)." If the stitches are drawn out in a chart, then double check that the explanations make sense. Especially in the case where there are increases or decreases, make sure that the 3 stitch cable they describe is actually worked over 3 stitches. 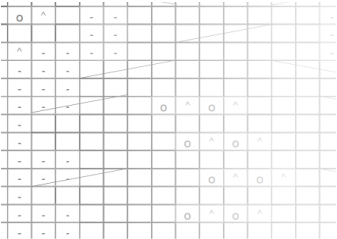 This is probably the least standardized part of a pattern. Some books will rate all of their patterns, whereas some books are aimed at a particular skill level in general and therefore will not rate their patterns at all. The most standard rating of skill level I have seen is this little graph, which ranges from 'beginner' to 'experienced'. But the rating is really at the discretion of the author, and not everyone's definition of 'experienced' is the same. In any case, you should look for this or other clues as to how difficult the pattern is and make sure it is within your range. Sometimes the title will give it away as in "Easy Ribbed Hat" vs. "Intricate Lace Scarf". The next best clue is to look at the stitch guide, and make sure you understand all of the stitches listed. This may be the most important of all, especially on the more difficult of patterns. If it is a basic ribbed hat pattern, you might be able to get away with no picture. A ribbed hat is a ribbed hat. But having a picture - or more than one from different angles - is essential when it comes to piecing together a sweater or something mystic and complicated like a 'fortune cookie shawl'. Also important to note here is that if your pattern comes with pictures that are not in color, beware! You may want to ask yourself if the author was really just trying to save on printing costs or if there might be some flaws in the pattern they are hiding in the black and white. This applies to the multi-piece work that you must put together later, such as a sweater. If there are no diagrams, or if the diagrams are poorly done (i.e. lack key measurements) then you should probably walk away from the pattern. The last thing you want to do is spend all this time knitting several pieces for your sweater only to have no clue how to put the thing together. Save yourself the headache upfront by checking out the diagrams before you purchase or start knitting the pattern.